Thinking of taking a DNA test? 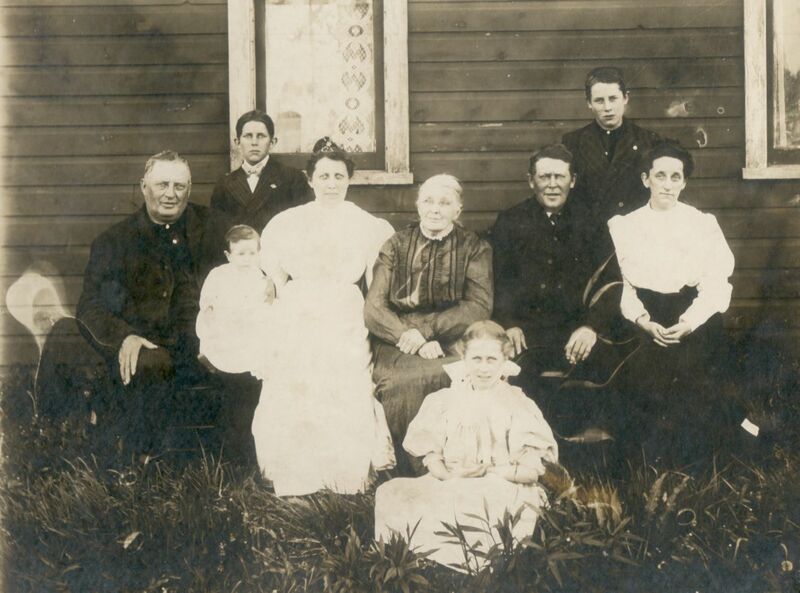 Wondering how DNA can help your family tree research? Just got your results and wondering how to interpret them? Then this beginner’s talk is for you. Almost 800 children died at the Tuam Mothers & Babies home between 1925 & 1961. Many of them may be buried in a pit discovered on the old site of the home. This talk reviews how DNA can help identify the skeletal remains found in the pit, and explores some of the ethical issues involved. This talk explores how the powerful combination of DNA & genealogy has helped adoptees reconnect with their birth families, and more recently has been used to identify murder victims and violent offenders (such as the Golden State Killer). A public discussion of recent developments in the use of Gedmatch by law enforcement agencies to identify victims of crime as well as serial rapists and killers. Will the use of this public database make society safer? But at what cost to the average member of the public? Lara’s recent thesis interprets the DNA results from 93 ancient skeletons found in Ireland dating from about 5000 BC forward. These analyses have helped shape a new exciting history of Ireland’s ancient past and provide the most comprehensive assessment to date of how waves of migration into Ancient Ireland have shaped the people who live in Ireland today. This user-friendly website is packed with tools to help you analyse your DNA matches (no matter which company you have tested with). Katherine reviews the tools available and how they can help you in practice. This introductory talk on DNA for genealogy outlines how the different type of DNA tests can help your research and which one is best for the particular research question you have in mind. Donna covers how to get started, how the tests work, and which test is best for you, using case studies of each type of test. One of the third party tools that can be used with your DNA results predicts physical traits and even propensity to medical conditions (e.g. Coeliac’s Disease). This talk provides an overview of what is (and is not) possible, how to interpret the results (with caution), and ethical issues raised by these tools. Using Facebook as a communication tool, the NE Galway DNA Project has had great success in connecting people within the greater Galway area and has reunited Diaspora Irish families with their Local Irish relatives, culminating in a major gathering of families this past summer. These successes have major implications for other similar projects. A public discussion on localised geographical projects in Ireland (usually county-based), how they are run in different parts of the country, what lessons can be learned, and what does the future hold for these projects. The O’Neill Clan is one of the biggest clans in Ireland, famous for its legendary progenitor, Niall of the Nine Hostages. Conclusions based on the most recent Y-DNA results will be presented and discussed, including the relevance to families related to the O’Neill clan. Use of Gedmatch has led to the identification of at least ten “missing persons” in the US, and there are an additional 70-90 people awaiting identification within the Gedmatch database. This novel use of DNA & Genealogy in combination will be reviewed and ethical issues discussed. Martin gives a few practical examples of how autosomal DNA can be used to identify specific ancestors and explains how ancestor reconstruction can be used easily as a constructive tool to further your DNA research. This is something that isn’t as complicated as it sounds and might just help you to break through that Brick Wall that refuses to come down. Ever wonder how a DNA match fits into your tree? Andrew discusses the new WATO tool and how to apply it in practice to identify where in your tree a match is likely to sit. This is an indispensible tool for those working with adoptees. These are hot topics in genealogy as well as elsewhere. James presents an overview of recent refinements in privacy & data protection and how these are helping to safeguard your DNA. How can you maximize your privacy & data protection? This facilitated public discussion will give you tips and pointers so that you can easily achieve the level of protection with which you are personally comfortable. As more people test with the Big Y, many branches of the Tree of Mankind are growing further downstream and approaching the surname era (roughly the past 1000 years). However, the journey is sometimes far from easy. This talk explores the challenges faced in exploring one particular branch, deriving lessons applicable to many others. There are 289 parishes in Northern Ireland (i.e. Counties Antrim, Armagh, Down, Fermanagh, Londonderry and Tyrone). You can identify the civil parishes of Northern Ireland, and their associated townlands, at https://www.johngrenham.com/places/civil_index.php by selecting county of interest on the map. To gain insight into the economic and social landscape of 19th century Ireland you can consult A Topographical Dictionary of Ireland, published in 1837, by Samuel Lewis. Arranged in alphabetical order by parishes, towns and villages this book can be viewed online at http://www.libraryireland.com/topog/placeindex.php. An excellent starting point for surname research is the ‘Surname Search’ option at https://www.johngrenham.com/surnames where you can explore the location, frequency and history of Irish surnames. Although census enumerations were carried out every decade from 1821, the earliest surviving complete return for Ireland is that of 1901. The census enumerations of 1901 and 1911, arranged by townland in rural areas and by street in urban areas, can be searched, for free, at www.census.nationalarchives.ie. These returns will list the names, ages and place of birth of all members in a household. Civil registration of births, deaths and Roman Catholic marriages in Ireland began on 1st January 1864 while non-Catholic marriages were subject to registration from 1st April 1845. Prior to the commencement of civil registration of births, marriages and deaths in Ireland, family history researchers usually rely on baptismal, marriage and burial registers kept by churches. With civil registration of births and deaths commencing in 1864, and with the patchy survival of church records prior to 1820, gravestone inscriptions can be a vital source for family historians. Northern Irish Civil Records of births 1864-1915, marriages 1882-1921 and deaths 1891-1921 can now be searched and viewed at www.irishgenealogy.ie. On searching index, which returns name, event type, year and name of Superintendent Registrar’s District, a pdf of the full register page in which that birth, marriage or death certificate appears can be downloaded by selecting ‘image’. Images of pre-1882 marriages and pre-1891 deaths will follow later. You can also search and view ‘historic’ civil records of births, marriages and deaths for Northern Ireland at GRONI Online, by purchasing credits, of births (over 100 years old), marriages (over 75 years old) and deaths (over 50 years old) on the website of the General Register Office of Northern Ireland at https://www.nidirect.gov.uk/services/go-groni-online. RootsIreland, at www.rootsireland.ie, is a good starting point for searching church registers of baptisms, marriages and burials as this website is the largest online source of Northern Irish church register transcripts. You can either search across all counties or search a particular county. For example, Derry Genealogy, at www.derry.rootsireland.ie, has transcribed and computerised the early baptismal and marriage registers of 97 churches (38 Roman Catholic, 24 Church of Ireland and 35 Presbyterian) and gravestone inscriptions from 117 graveyards. As the search facility on this website is very flexible it means that you should be able to determine if any entries of interest to your family history are held on this database. For example, if you are searching for the baptism/birth of a child you can narrow the search down by year, range of years, names of parents and by parish of baptism/district of birth. Marriage searches can be filtered by year, range of years, name of spouse, names of parents and parish/district of marriage. It must be stated, however, that a failure to find relevant birth/marriage entries in this database doesn’t mean that the events you are looking for didn’t happen in Ireland. It simply means that they are not recorded in the database; for example, they may be recorded in a record source which doesn’t survive for the time period of interest or in a source that has not been computerised. Microfilm copy of church registers can be examined, at no charge, in the Public Record Office of Northern Ireland in Belfast. Their Guide To Church Records, which can be accessed on their website (www.proni.gov.uk) by selecting ‘Guides to PRONI records’ lists, in alphabetical order by civil parish, church registers of all denominations for most parishes in Ulster and their commencement dates, together with their microfilm reference details. Quite often the only realistic strategy in tracing ancestors beyond church registers (which are the building blocks of family history) is to examine surviving census returns and census substitutes, often compiled by civil parish, for any references to a surname or given name of interest. There are a number of census substitutes – such as 1630 Muster Roll, 1663 Hearth Money Rolls, 1740 Protestant Householders Lists, 1766 Religious Census, 1796 Flax Growers Lists, early-19th century Tithe Books and mid-19th century Griffith’s Valuation – which can be searched to confirm the presence of the family name. The problem with these sources is that they name heads of household only; hence they provide insufficient information to confirm the nature of linkages between named people in these sources. Census substitutes, however, are very useful in confirming the presence of a family name in a particular townland and/or parish, and in providing some insight into the frequency and distribution of surnames. You can examine the mid-19th century Griffith’s Valuation at www.askaboutireland.ie/griffith-valuation. You can search, for free, a number of 18th century census substitutes for Northern Ireland, such as indexes to pre-1858 wills, 1740 Protestant Householders Lists and Religious Census of 1766, by selecting the ‘Name Search’ option in ‘Search archives online’ section of the website of the Public Record Office of Northern Ireland at www.proni.gov.uk. At www.ancestryireland.com/scotsinulster you can also search, free of charge, by surname, the Flax Growers Lists of 1796, the Protestant Householders Lists of 1740, the Hearth Money Rolls of the 1660s and early-17th century Muster Rolls for Northern Ireland. Although such sources will confirm the presence of a surname of interest they will not confirm if there is a connection between people with the same surname!